The 3rd International Forum on Additive Manufacturing will provide an opportunity for national and international practitioners to discuss and explore additive technology in the context of defence, aerospace and medical requirements. 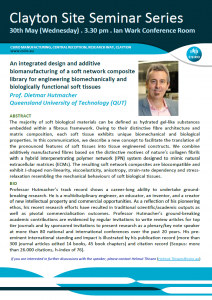 We are very pleased to inform that ARC ITTC in Additive Biomanufacturing (Queensland University of Technology) is organizing the first Nature Conferences in Australia. Please join us in the official opening by the Honourable Karen Andrews (MP), Assistant Minister for Vocational Education and Skills and Federal Member for McPherson. 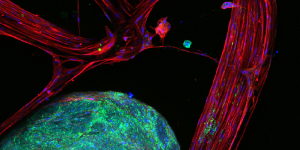 3D printing requires scientists to be creative and push past boundaries. The best approach is to have no boundaries. This is what both Professor Dietmar Hutmacher and Professor Michael Breadmore and their teams do every day. 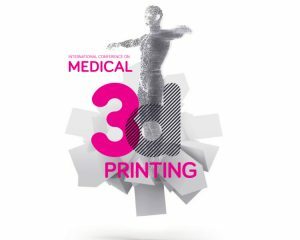 The International Conference on Medical 3D Printing (ICMP 2017) will connect leading researchers, industry and manufacturers, healthcare professionals, policymakers and educators, in exchanging ideas, needs and challenges related to state-of-the-art medical 3D printing. The Hellenic Society for Biomaterials hosts the 28th Annual Conference of the European Society for Biomaterials (ESB), to be held in Athens 4 – 8 September 2017. The conference will take place in the Megaron Athens International Conference Center (MAICC), located at the heart of the city of Athens, just minutes away from its historic center. The exhibition – subtitled Prototypes for Immortality: Towards A Distributed and Evolving Self – engages speculatively with the concept of immortality through technological intervention. 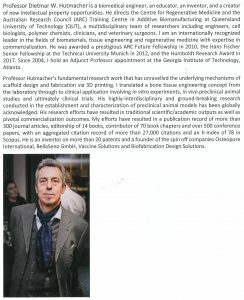 Drawing on expertise from the Centre of Regenerative Medicine, this project incorporates tissue engineering techniques and new approaches to additive bio-manufacturing mRNA translation (protein synthesis) is one of the most energy consuming processes in the cell. Energy metabolism and protein synthesis are dysregulated in several pathological states including cancer. However, how mRNA translation and energy production are coordinated remains underexplored. Implications of these findings on targeting metabolic vulnerabilities of cancer will be discussed. This meeting aims to bring together members of local and international societies (in particular the Indian Society) to promote awareness of new developments in the field. It is a unique opportunity to interact with delegates that typically range from students through to senior researchers and managers, in both formal and social settings. 1 February 2017 - 6pm for a 6.30pm start. 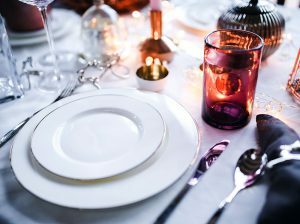 We invite you to join our annual gala dinner where we celebrate and showcase breakthrough research undertaken by our researchers and postgraduate students. Our gala event shines the spotlight on our innovative research and key collaborations in the corporate, government, health and biomedical sectors.